Getting in and out of a bath can be a challenge if you have mobility issues but the Bath-Buddy inflatable bathing cushion could be the solution. 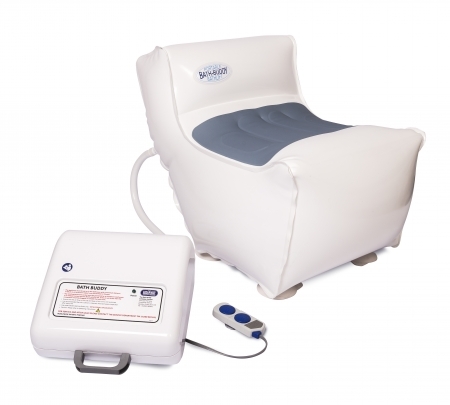 If you have forgotten what it is like to bathe in comfort, to be in a bath where you can lie back and have a long leisurely soak then try the Bath-Buddy inflatable bath lift. It’s so easy to use – by pressing the soft touch button on the hand control, you will be gently lowered on a cushion of air down to the very bottom of your bath. You will always be in control; so when you want to re-inflate the Bath-Buddy simply press the ‘up’ button and you will be lifted smoothly and gently out of your bath. 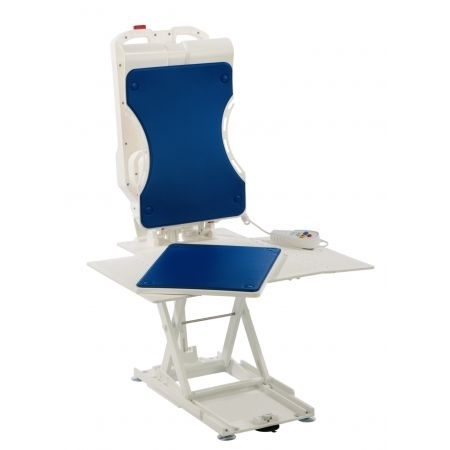 The Bath Buddy inflatable bath lift has been installed in thousands of homes throughout the UK and Europe, allowing customers to bathe with ease, independence and in comfort.